Matt Badler is a co-founder and managing director of Twain. Matt focuses on new opportunities and corporate strategy while overseeing both the Investments and Corporate Accounting departments. 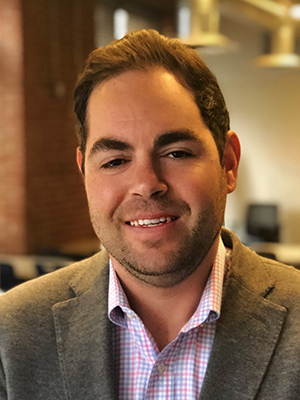 Before life at Twain, Matt was a VP of US Bancorp Community Development Corporation (USBCDC) and served in numerous roles within the organization. Matt spent his final two years at USBCDC working on the new business development team which lead to the formation of Twain. Prior to USBCDC, Matt worked for an investment bank and a hedge fund. Outside of Twain, Matt is active in many civic organizations and is passionate about his hometown of St. Louis. Matt is on the boards of Arch Grants and the St. Louis Fashion Fund and is a member of YPO St. Louis. Matt has a Bachelor of Science from Bucknell University and a Masters in Real Estate Investments from New York University.